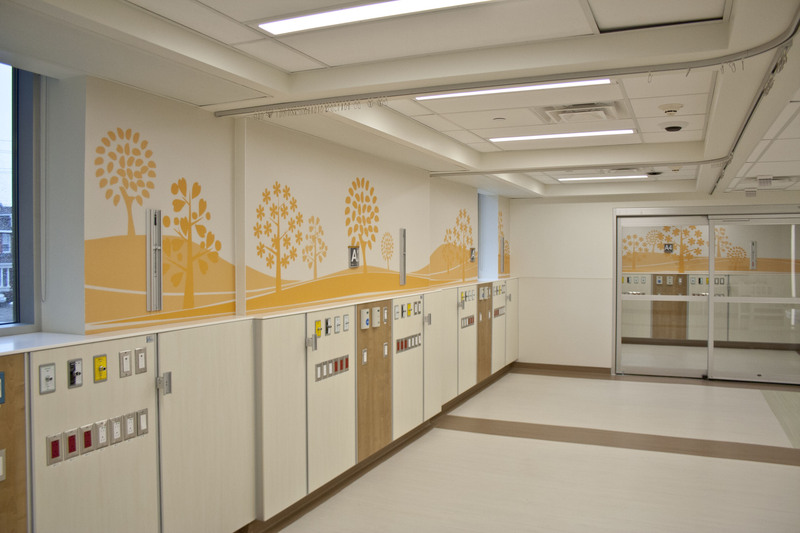 Orillia Soldiers' Memorial Hospital Neo-Natal Intensive Care Unit (NICU) - Strasman Architects Inc. 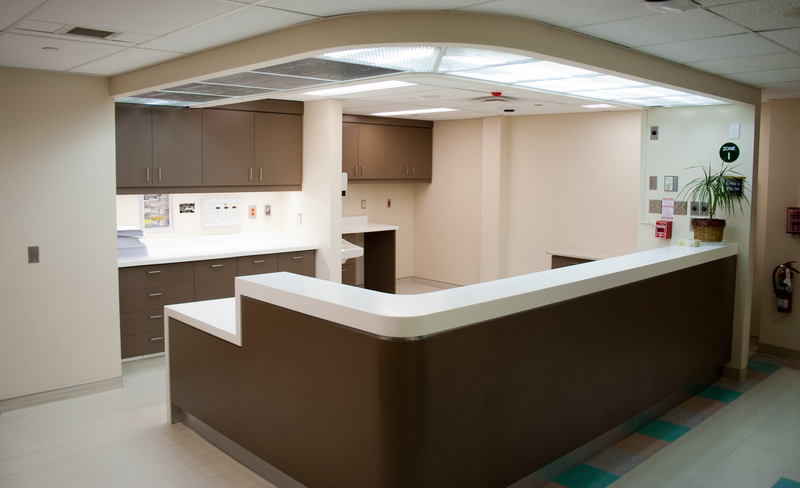 Located in the original 1950’s Princess Elizabeth Wing of the OSMH facility, the existing Neonatal Intensive Care Unit required significant expansion and upgrades to address life safety and functionality requirements. The primary design challenge was to establish program and layout priorities to address operational requirements within the existing space constraints. space efficiency. In order to achieve the open floor plan, a load bearing masonry wall was removed and new steel columns added in strategic locations to maintain line of sight for all bassinets. The mechanical and electrical systems and services were upgraded to meet current standards, including replacement of a dedicated air handling unit (AHU) serving the nursery space. The coffered ceiling design provides acoustic sound dampening for the space in conjunction with acoustic tile and flooring. The interior design theme echoes a natural setting with allusions to meadows and fields, intended to provide a serene and comfortable environment for the parents and families.